From Farm & Field to the Table. Let the adventure begin! So I had a clear plan of attack in mind when starting this blog…. I would break the blog down into sections based up obtaining, preparing and eating Fin (Fish), Feather (Poultry) and Fur (Most everything else). I would cover some hunting & fishing adventures, seek out local sources and bring it all to you here. But then I stumbled upon CharcutePalooza…. This has thrown a big monkey wrench in my plans. I came across a challenge that hit me where it hurts… Charcuterie! 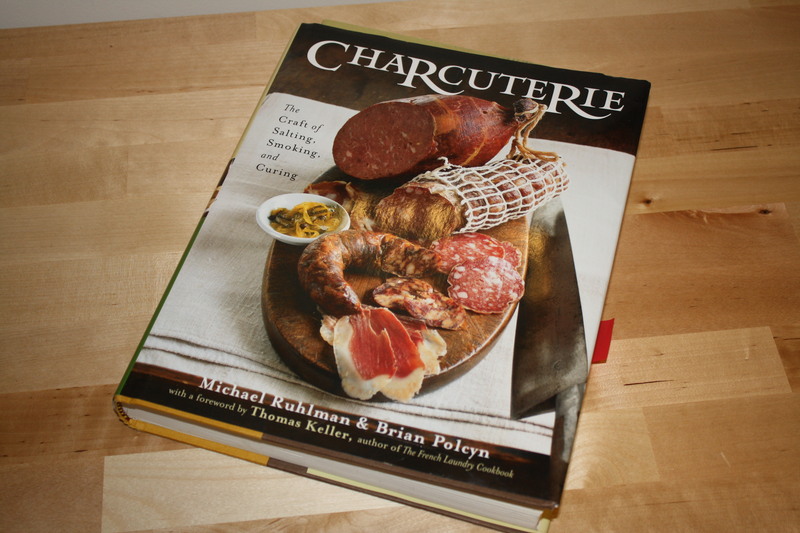 I have of late began taking on the challenge of curing meat and making sausage through Michael Rhulman and Brian Polcyn’s Charcuterie book. Each month in 2011 we will present 1-2 cured meats from the book and blog till the heart desires about the process. Check out the link to CharcutePalooza to the right… your gonna like it! So follow this year long adventure into MEAT with me. I will post the monthly item to the right under CharcutePalooza Item. Be sure and check them out. So for January we start of with Duck Proscuitto! Gallery | This entry was posted in Around Town, CharcutePalooza Item, FEATHER, FIN, FUR, On My Table, Recipes, Uncategorized. Bookmark the permalink. 5 Responses to Off & Running! Thanks Cathy… You are right. Those pesky R’s!! Corrected!! Off to the races 🙂 Cook Fast! Hey that looks like my book! Good luck my friend. Does this mean you are going to charge us for dinner from now on? When can I come for dinner, Clark?